Help the fresh out of school Maggie run her magical farm! 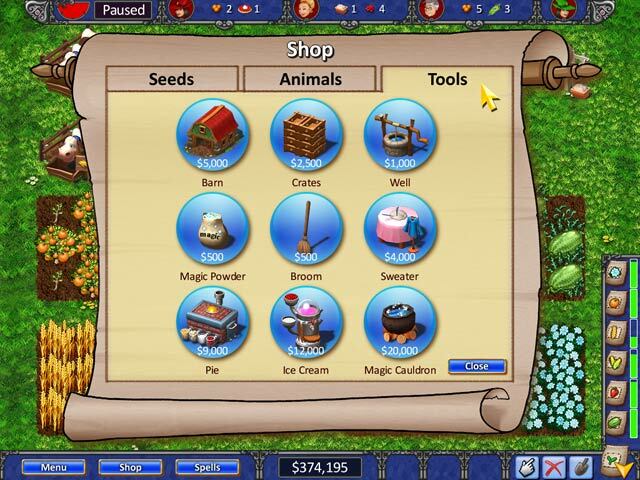 Use a variety of magic powers to grow a small farm into a prosperous enterprise! 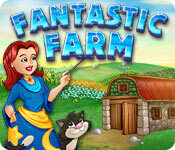 Care for the animals, grow plants and make enchanted goods in Fantastic Farm! Earn trophy achievements and keep the sinister business man from shutting your farm down. Make ice creams, sweaters, strawberry pies and lots more in this fun and addicting Time Management game! Fantastic Farm is rated 4.9 out of 5 by 16. Rated 5 out of 5 by Bumbles2 from A farm game that is a whole lot of fun to play !!! I found this game to be lots of fun to play and there were lots of things to do. This was different than most and I liked that. I have nothing but good things to say about this wee game...we all loved it in my household !!! Try the demo and you'll see what I'm talking about !!! Cheers all !!! Rated 5 out of 5 by amylmenke from Love this game! One of my favorite games lately! I have played all of the farming games I think and this is one of my faves. Playing on expert is pretty difficult but I found it very doable. And there is a free mode too in which you can just play around and make money and then will get orders from time to time. That's a relaxing way to play. 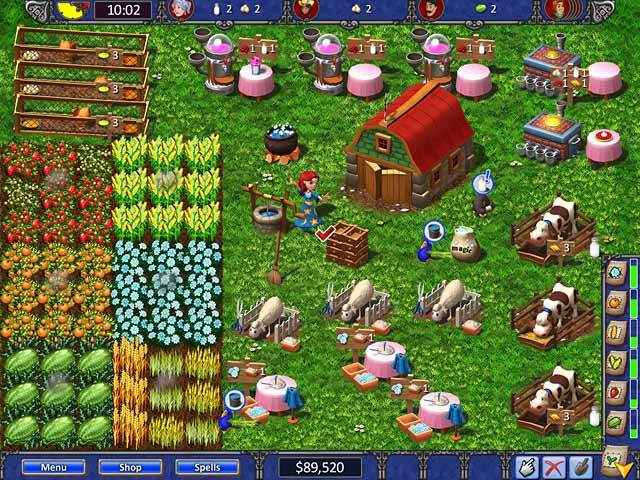 Rated 5 out of 5 by itsgigi from Favorite Farm Game I have played this game through to the end in expert mode several times and have never been bored; each time I was able to organize and improve my farm. I love this game!! Rated 5 out of 5 by tutortime from Very Enjoyable Game. Love these games. Beautiful and challenging. I often play without the timer so I can take my time and just farm. Rated 5 out of 5 by MsUncommon from Fantastic is an Understatement for this Game! This game is a combination of Ranch Rush and Mystic Inn. 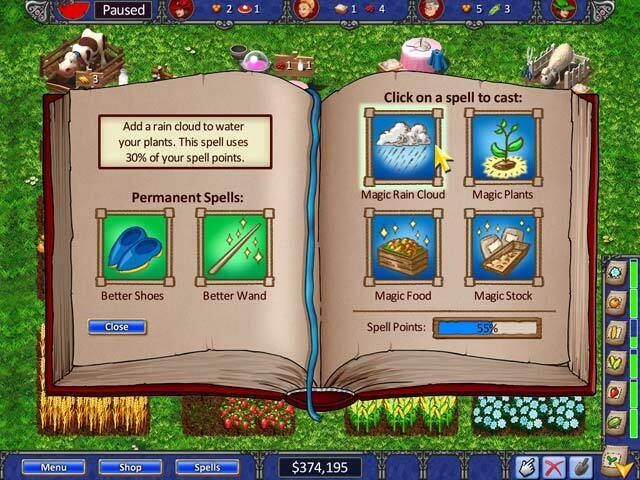 It combines both farming and magic with the usual help save the farm storyline. What makes this game stand out from the rest is the many levels of difficulty you can choose from. There's Timed, Relaxed, Expert and another one that I noticed at the bottom. Didn't take much time to check it out, wanted to get into the storyline and game play. I played my trial in relaxed mode to get a feel of the game and I really enjoyed it with the exception of the mice. I highly recommend this game if your looking for a game where you can have fun without all the stress of some TM games. I'm off to purchase and pick up where I left off! Enjoy the game!!! Rated 5 out of 5 by SoCalMom from Love this game! Wish you would come out with Fantastic Farm 2. Rated 5 out of 5 by AliceSanX from Fantastic Farming Fun! The graphics are adorable. The upgrades and farming are so fun. And there is voice acting in the story. And it lets you have the relaxed mode from the start if you don't feel like being timed. Rated 5 out of 5 by LPERM from Yet another fun farm TM game When this came out as the daily special i played it for awhile and went to buy it and discovered i had already purchased it. Maybe it was when i had a lot of games to play so i had forgotten. So if you haven't bought it and you like this type of game I recommend it.